yOU GUYS are freakin' amazing! And I'll 2nd Chris's request. IMSA please. Now, a thought about skins. How are we going to differentiate between skins created prior to the latest update and those created after? - the window.dds is loaded correctly. I can see all add sticker which I've placed on the black window frame area. mr.Sw1tchblade, GeraArg and philmcqueen like this. muzikant, rubennaatje, davehenrie and 8 others like this. Are you going to make this available for down load, great if you did. I vorgot to mention that this livery is part of a VLN 2018 package, which I will Release for free if all skins (at least 24) are finished. I think it takes 2 or 3 weeks ..
bhendrik, FuNK!, bears and 4 others like this. Have you drawn over the alpha channel? This is something you need to do when applying numbers or names to windows. Yes, he has. There is a picture a few posted back to illustrate that. Plus I sent a bit of time testing it last night and the result was the same. No stickers on the clear glass areas. This is apparently only a issue on the Audi. All other cars work as they always have. AMillward and Frank Murphy like this. 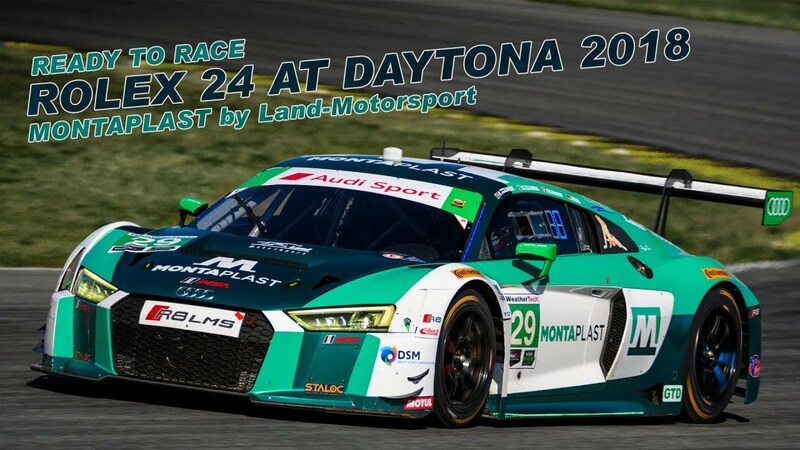 This is the 2019 Daytona Core Autosport car driven by Loic Duval. Enjoy. philmcqueen, Hocician, AMillward and 10 others like this. FrC, Marius Nicolae, Godwind Racing and 6 others like this. philmcqueen, Chris Lesperance, jayarrbee36 and 3 others like this. Probably a 3rd update for the oreca could do that. Nice! I had that one on my to do list. Decided to start work on the Park Place Porsche before working on that one. I'm just trying to get the 2018's finished as we mostly have that complete and the S397 cars are more accurate. There was a post about the 1998 F1 skins on the 1998 McLaren. In that mod, it was mentioned of being able to use the update.ini to be able to point to different physics files. I attempted to doing the same thing with the Enduracers Ligier LMP3 to use the S397 Norma physics. In my attempt in doing that, I could not get it to work. I'm not sure if I was doing it correctly. But it could be that the encryption used for those DLCs are different than the ones used on the McLaren. I'm not 100% sure. Godwind Racing, philmcqueen, M D Gourley and 5 others like this. The Iron Wolf, FrC, Godwind Racing and 32 others like this. I have an issue. I downloaded and added some skins for the new GT3 cars in my rF2 install, but on the IA cars the standard livery appears with only the window banner of the skin I installed. Does anyone know how to fix this?